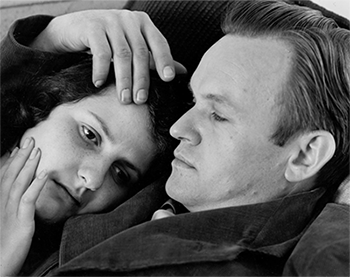 Ruth-Marion Baruch and Pirkle Jones, 1951, photograph by Rose Mandel. 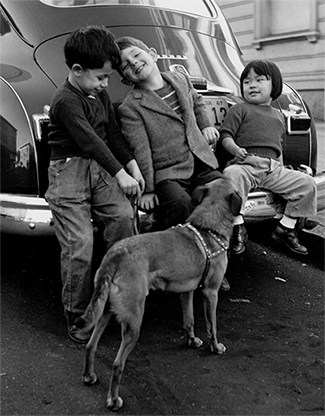 The gift comprises over 12,000 photographic prints, 25,000 negatives, and thousands of transparencies created by photographer Pirkle Jones over the course of his career, as well as prints and negatives by his wife and partner, Ruth-Marion Baruch, plus a selection of prints by such colleagues and collaborators as Dorothea Lange, Edward Weston, Ansel Adams, and Minor White. 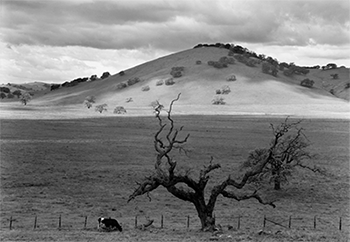 "These images tell the story of California at a time of tremendous social change. The collection is an extraordinary resource for scholars, students, and ultimately the public," said Chancellor George Blumenthal, who met Jones during a campus visit. "He was a free spirit, a pioneer of photography. It's gratifying that he wanted his collection here." "I was extremely pleased with the beauty of the campus," Jones said in a 2003 interview. "And the mood and the attitude there was something that I had never seen before. It is one of the most unique universities anywhere." 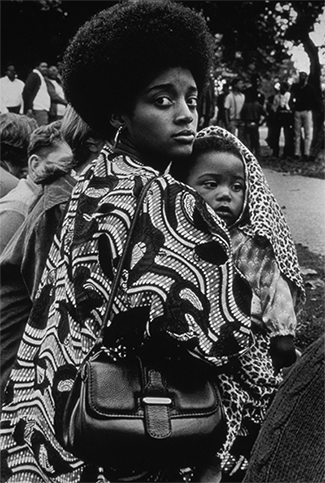 The Panther series of photographs came about in 1968 when his wife was introduced to Kathleen Cleaver, wife of Black Panther party leader Eldridge Cleaver. Given unprecedented access to the inner circle of the Black Panthers, Jones and Baruch took photographs from July through October of that year in an effort to create a better understanding of the controversial organization that FBI Director J. Edgar Hoover once called "the greatest threat to the internal security of the United States." "The de Young exhibit was one of the most important events in my life," Jones said. "The energy we put into it--I’m amazed that we put it together in such a short time. It was a great opportunity." The collection will be housed in McHenry Library’s Special Collections, where it will complement a smaller Jones/Baruch archive given to UC Santa Cruz in 2003. It joins a number of other exceptional photographs already held in the Library, including works by some of the West's most distinguished photographers such as Edward Weston, Ansel Adams, Victor Jorgensen, Erik Lauritzen, and Morley Baer. "This gift is the result of a lot of effort on the part of three heads of Special Collections, two library development officers, three University Librarians and two chancellors,” noted University Librarian Elizabeth Cowell. “It also reflects the hard work of multiple special collections staff who have worked to make the current collection accessible. We can be very proud of this collaborative and sustained effort." Remak-Honnef noted that UC Santa Cruz has just loaned a number of prints from the collection to the Oakland Museum for their upcoming Black Panther show which opens on October 8. The Library also plans to loan items to the de Young Museum in San Francisco for their upcoming Summer of Love exhibition. Increasing resources for the University Library is one of the goals of the Campaign for UC Santa Cruz.